In all of the moto pic tag games I've played you post a pic for the current tag and then you post a pic for the new tag. Example... If a clown is the current tag I post a pic of my bike and a clown. The for the new tag(let's say I picked a water tower) I then post a pic of my bike and a water tower. Then the next player posts their moto and a water tower and then a pic for the new tag. Is this how we're doing things here? If so, shouldn't the first tag start with a pic of a Hyper and a clown? Not the ones I played. why would there be 2 pics of a hyper with a water tower? that's a lot of work for one person. Here's a link to a game that is run the way I described...get the current tag(with a pic) post up a new tag(with a pic). I too have played it with the 2 pictures (current and next) and that makes more sense if everyone is local; for instance, one person would post a picture of their bike next to a structure, the next person would have to post a picture of their bike in the exact same structure, then post the picture of the next location. Part of the fun there is guessing where the location is. Obviously, that's for local games. Probably having the starting pic would still be good for ideas. I agree, I'd rather have a sample picture, the way thePunisher suggests. My bike is out of commission waiting for the clutch upgrade to be done. Anyone care to start it with a picture of the bike next to a clown? Too much talking and too few pictures. Actually the games I've played have had members from all over the U.S. and Europe and it's never been an issue. If it's something we don't have they get the tag, if it's something they don't have we get the tag. Most of the time it's not an issue though. When I played this on the monster forum, we only posted one pic. When that person who posted the pic then identifies the next item, part of the fun was how the next person after would interpret the item. The 1 rule was that you must post a pic of your bike with it. I was only saying it is more work for someone to take a pic of the 1st thing, then post a 2nd pic of the next item he/she wants to see. Not saying there is only 1 way to do this, I just want to keep it fast and simple. of course, no one has posted the first pic yet. so let's do this: forget the clown. just post a pic of your hyper next to something interesting and then you get to ID what you want to see next. up to you if you want to post a pic of your bike with it or not as a reference. I’ll just get the ball rolling. 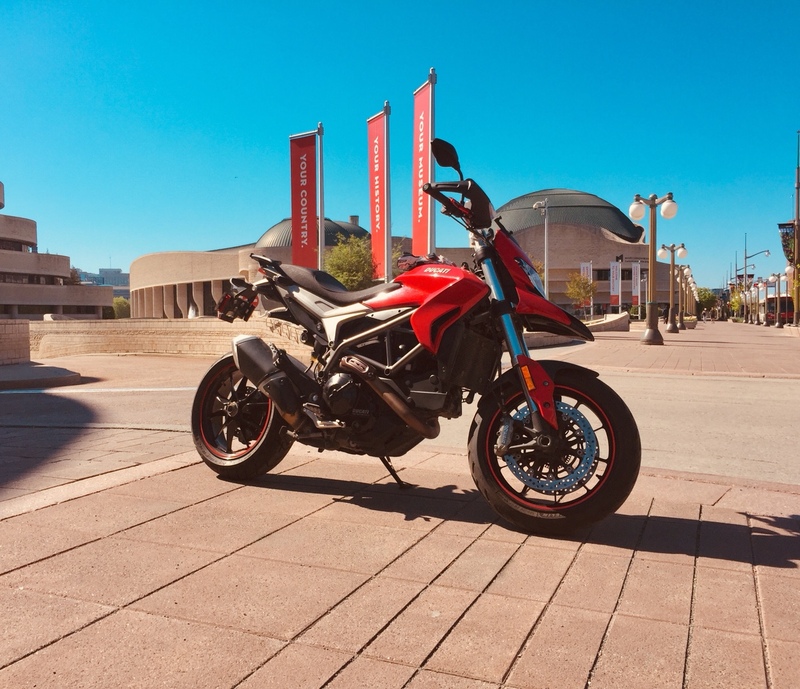 Post a picture of your hyper next to a museum. Then you pick or post a photo of whatever the next tag is. Anyway here's the tower. Not sure if it's a water tower or a fire tower though. alright, we got things moving. thanks mike and moose. (the water tower was a hypothetical/example). current tag is your hyper next to a museum (which moose picked). first person now to post a pic of their hyper by a museum gets to pick the next item.